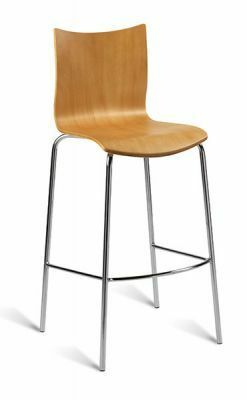 This slim line stool is light weight and easy to transport. The seat has beautiful natural veneer look and the supporting frame has been chromed for extra durability and aesthetic appeal. Bar stools for commercial application with a maple seat shall and chrome welded frame.